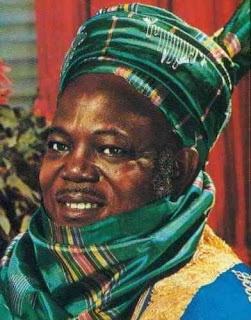 Sir Ahmadu Bello was a prominent northern Nigerian politician and only premier of the northern region who until his death held the title of Sardauna of Sokoto. Sir Ahmadu Bello was born on the 12th of June 1910 and died on January 15, 1966. He was a Nigerian politician who was the first and only premier of the Northern Nigeria region. He also held the title of Sardauna of Sokoto. He was also a leader of the defunct Northern People's Congress. According to HistoryVille, here are 50 things you didn't know about the late Nigerian politician. 1. Ahmadu Bello was born on June 12, 1909 in Rabbah, present day, Sokoto State. 2. He was the son of a concubine. 3. His father died when he was 6 years old. 4. He was the only surviving son of his father and mother, Mariyamu. 5. He was a great grand-son of Shehu Uthman dan Fodio, the great Fulani jihadist. 6. He got his Islamic and Arabic education as a teenager from Mallam Garba who was the Imam of Rabbah village. 7. He finished at the age of 16 top of his class. 8. He attended the Teacher's Training College, Katsina (later Barewa College) where he was a School Prefect and Class Captain. 9. Thereafter, he graduated as a Teacher in 1931 with a credit equivalent Grade III result. 10. He was appointed by the Sultan of Sokoto to work as a teacher at the Sokoto Middle School, where he was once a student and taught from 1931-1934. 11. He was appointed a rural administrator (District Head) at the age 25 in 1934. 12. He gave birth to a daughter after his death (posthumously). 13. He became a candidate for the succession to the throne of the Sultan of Sokoto at the age of 29. 14. He made attempts to become the Sultan of Sokoto but was not successful, losing to Sir Siddiq Abubakar III who reigned for 50 years until his death in 1988. 15. The new Sultan immediately made Sir Ahmadu Bello the Sardauna (Warlord) of Sokoto, a honourary title and promoted him to the Sokoto Native Authority Council, these titles automatically made him the Chief Political Adviser to the Sultan. 16. Later, he was put in charge of the Sokoto Province to oversee 47 districts. 17. In 1943, a drama played out when he was thrown before the Sultan's court for misappropriating jangali (cattle) tax for the Gusau region where he was the Councillor. 18. He was sentenced to 1 year in prison, but spent 3 months in jail. 19. By 1944, he was back at the Sultan's Palace to work as the Chief Secretary of the State Native Administration. 20. In 1949, at the age of 40, he was nominated for a seat in the Regional House of Assembly. 21. He spoke impeccable English, and respected many European values. 22. Sir Ahmadu Bello keenly encouraged female education. 23. In 1954, Sir Ahmadu Bello became the first Premier of Northern Nigeria. 24. He never had material accumulation instincts, did not accumulate wealth and gave out whatever came into his possession. He was scrupulous and prudent with public finance but generous with his own money. 25. In 1955, he made his first pilgrimage to Mecca, Saudi Arabia. 26. The ‘Work and Worship’ motto on the Northern Nigerian crest was adopted by him. 27. He chose to remain the Premier of Northern Nigeria and gave the position of Prime Minister to his hand-picked candidate, the late Sir Abubakar Tafawa Balewa, who was then the Deputy President of the NPC. 28. Sir Ahmadu Bello never sought the leadership of Nigeria. 29. He once stated that he would rather be the Sultan of Sokoto than to be the leader of Nigeria. 30. At various times, he made inflammatory statements about the Ibos as he once referred to them as the ‘Jews of Nigeria’ whose sole purpose is to dominate wherever they find themselves. 31. In 1959, Queen Elizabeth II (b.1926) made him a Knight of the British Empire (KBE), and that explains the ‘Sir’ in his title. 32. In 1962, he became Pioneer Chancellor, Ahmadu Bello University, ABU, Zaria. 33. He founded the Bank of the North (now Unity Bank). 34. He founded the Northern Nigerian Development Company. 35. He established the 16,000-seater Ahmadu Bello Stadium, Kaduna. 37. He established the University of Northern Nigeria, which stretched from Samaru in Kaduna State to Funtua in Katsina State, on the 4th of October, 1962 now known as Ahmadu Bello University (ABU), Zaria. 38. By the beginning of 1966, it was quite clear that the Sardauna was one of the most powerful figures in the country, and many believed that he was actually the most powerful, even much more powerful than the Prime Minister, Sir Abubakar Tafawa Balewa. 39. His party, Northern People Congress (NPC), held sway over 29 million out of 55 million Nigerians. 40. On his way to Umrah (the Muslim lesser pilgrimage), he received a letter with threats to kill him. 42. As a devout Muslim, the Sardauna believed that giving his life in the service of Northern Nigeria was worth the sacrifice and that death was a certain end. 44. On the morning of 15th January, 1966, armed soldiers, led by Major Patrick Chukwuma Kaduna Nzeogwu, arrived at his residence at Lugard House, Kaduna, with the message of death. 45. He told his family to stay away in safety but they would have none of that. They all trooped behind him as he came out of the family quarters and in a matter of seconds, he was surrounded by the soldiers led by Nzeogwu who fired at his babanriga. And immediately, blood sputtered from the point of impact through the beard on his face. 46. At that point, his first and eldest wife, Hafsatu, threw herself at him in a final embrace. They were both shot. 47. He was believed to have been killed instantly when a bullet penetrated his spinal cord. 48. Brave till the very end, he had faced the soldiers and introduced himself as the Sardauna of Sokoto and Premier of the Northern Region. 49. He once referred to Nigeria as the ‘mistake of 1914′ but he later worked for and gave his best for the new nation of Nigeria. 50. He died leaving £10 in his bank account. Equivalent of 5,000 naira in today’s currency exchange.